This hall tree will be a great first impression for visitors to your home. 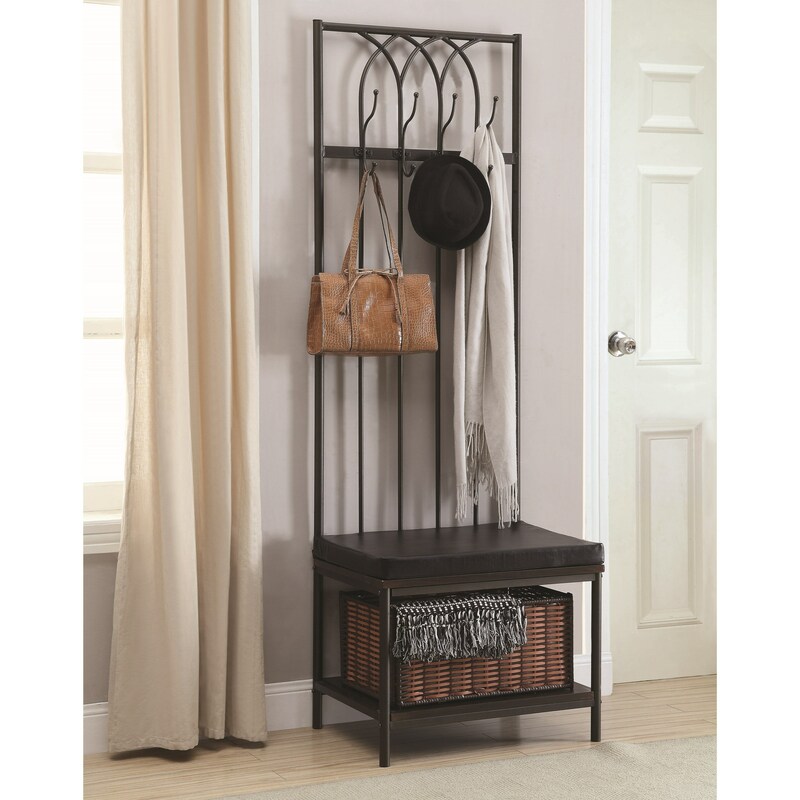 The convenient hall tree has four double hooks for hanging hats, jackets, and bags. An upholstered bench provides a place to sit and put on your shoes. Stash away gloves, scarves, and shoes in a basket located beneath the bench. The Coat Racks Hall Tree with Storage Bench by Coaster at Sam Levitz Furniture in the Tucson, Oro Valley, Marana, Vail, and Green Valley, AZ area. Product availability may vary. Contact us for the most current availability on this product.